This is where I am going to take a stand. 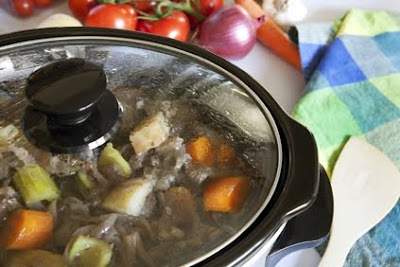 If you don't have a slow cooker or crock pot and you want to save money and time, you're going to find it hard going. There really isn't much equipment you have to have to follow my plan. 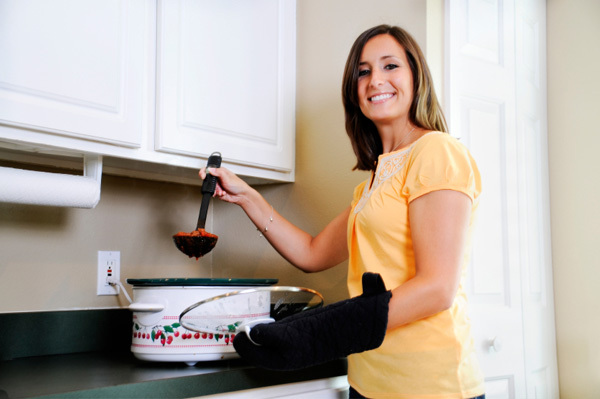 Even in the most basic kitchen, if you have a few pots and pans, a cookie tray, a bread pan, a frying pan, a wooden spoon or two and a few good knives, your pretty well set. Yes, there are other things that are useful and if you have them, great. But you can live without them. However you can't easily be a carefree Paleo cook without a crock pot. I'd rather have one of these simple little machines working for me in my kitchen than a personal chef any day. 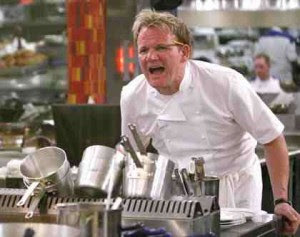 Chefs get sick, think they know everything, answer back, and worst of all for your budget, need to be paid over and over again. And did I mention they tend to yell a lot? Of course most of us really don't have that choice anyway, but it's really no loss. Trust me, a slow cooker is soooo much better. Turn it on, spend a few minutes filling it up, close the door on it and go out for the day. You will come home to the heavenly smell of dinner all ready and waiting. And if you've really planned right, you'll also have at least one more meal for your freezer for that, as a famous children's book calls it so descriptively, "terrible horrible no good very bad day". You know, the kind of day I mean. Your exhausted, the kids are screaming or the dog is barking and needs walking, or the husband is in a foul mood and needs walking - well, at the very least some loving attention. The kind of day when opening up the freezer door, taking something out, and sticking it into the microwave will take up the rest of your energy. With a few slow cooker meals in your freezer you can relax knowing that the next time you have one of those (And you know you will. We all do.) You're covered. Can you really beat that? I don't think so. I think slow cookers got a bad name because many people never really learned how to use them. Certainly if you have more time than money and are willing to hunt garage sales you can usually find quite a few. But really, buying a new one is not expensive. As I write this you can buy a 3 quart stainless steel crock pot with a removable pottery liner on Amazon for $24.74, and at Bed, Bath and Beyond, $29.99 buys you a 5 quart one. Considering how much use you will get from this piece of equipment for years to come, that's an absolute steal. 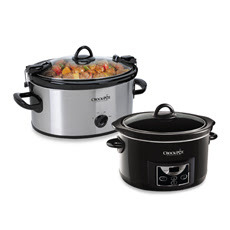 Whether you want a large family sized slow cooker or a smaller one, there is bound to be just the right one to suit your needs. If you don't already have one, please go out and buy one now. You can try to make the recipes I will give you for a slow cooker in a slow oven, but I can't guarantee the results, and risking good food like that certainly isn't economical of either your time or your money. Whether you buy a new one or get lucky at the next garage sale visit, buy one. You won't regret it.